Three in a row for Menu! 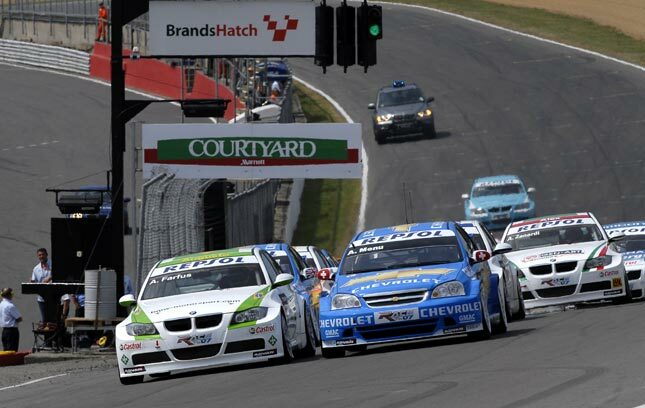 The Chevrolet WTCC team dominated the proceedings at Brands Hatch today. 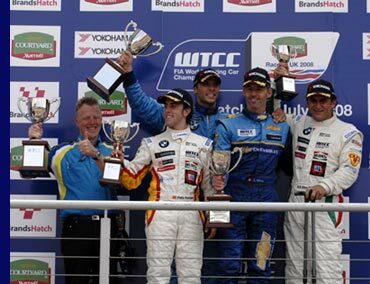 Swiss touring ace, Alain Menu, won his third consecutive WTCC race at the Kent track, the first driver in the WTCC history to score three wins at the same track. 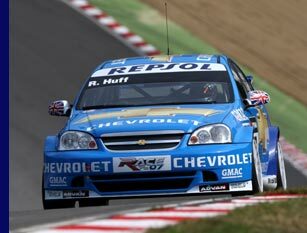 Rob Huff looked the certain victor in today’s first race, when two laps from the end his front left tyre punctured. The same fate befell team mate Nicola Larini who was running in seventh position and was looking at a first row start for race 2. From that moment, Menu – who ran in fourth – slowed down to conserve his tyres, dropping him back to eighth and thus gaining the pole position for race 2. 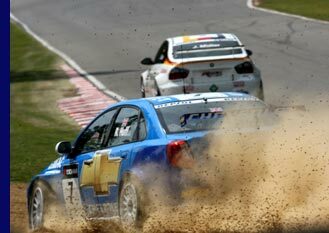 In the second race Menu was in a class of his own, despite a quick getaway by Porteiro at the start, and scored his eighth WTCC victory for Chevrolet. “In race one I had a good start but in Turn 2 Farfus tried to close the door when it was already too late. I just kept my foot down and then he tried again resulting in him going off and me losing places. Despite the heavy hit the car felt okay afterwards. Near the end I noticed that both Rob and Nic were crawling to the pits and the team warned me over the radio to look after my tyres. I let some people past, which then gave me eighth at the finish which was good for pole for race 2. It helped me because in the end I scored more points than if I had finished fourth and then maybe fifth in the second race. 1. SEAT, 194 points; 2. BMW, 165; 3. Chevrolet, 134; 4. Honda, 24. Throughout the 2008 WTCC season, Chevrolet Insight will be giving a behind-the-scenes look at the Chevrolet WTCC racing team. On Saturday and Sunday, media and fans alike can obtain the latest information and ask their questions via the web in Chevrolet's own web cast. There are regular airings during every race weekend, and then a full 15-minute review programme. Visit www.chevrolet-insight.com.